Mobile systems with automatic cut-off for wheel flange lubrication systems. Both models are also available with manual cut-off. For Oils and greases, as well as lubricants up to NLGI 2. Useful for lubricants to dissolve sedimentation. Combinable with the filling pump. Mixer designed for 50 kg containers. Matching centring cap and clamp for secure fastening. Power 1900 watts / 2 gears. 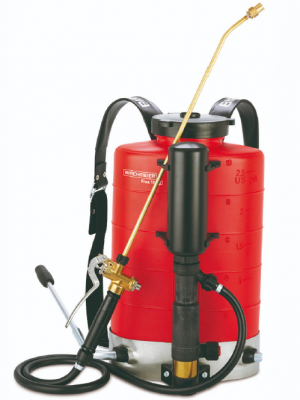 For larger applications the right back sprayer in uncompromising quality for the professional user. External 6 bar pump, easy to dismantle. Impact-resistant 10-litre plastic container with UV protection. Comfortable, individually adjustable carrying strap.